Pretty much in love with that baseball cap!! 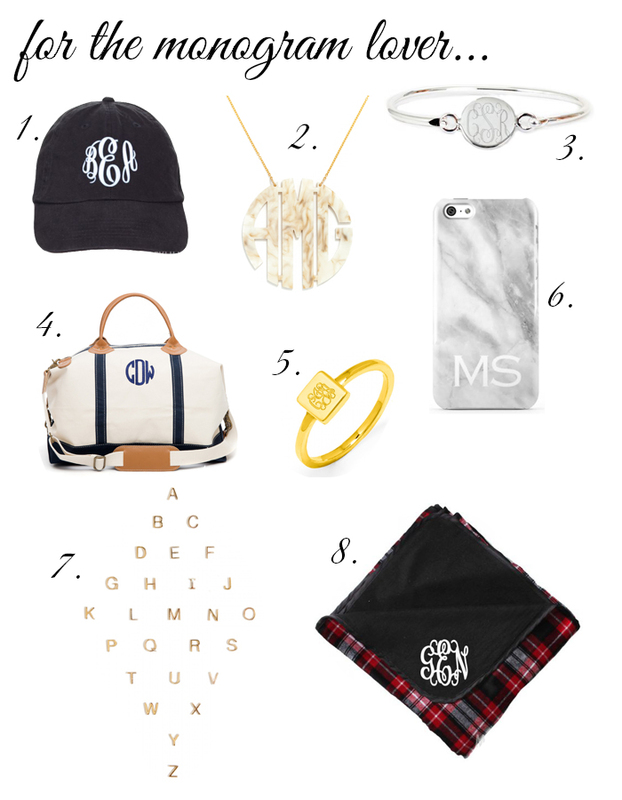 A monogrammed gift is such a thoughtful gift to give an these are some great options. That satchel is preppy perfection! Love this roundup! #1 is my favorite piece! Thank you for this selection! Such cute gifts! Loving that ring! I love number four and five!! All amazing choices!! This is such a perfect gift guide!! I love that blanket! and am definitely going to check out those JCrew PJS! Monogrammed presents will never go out of style! Love these pieces. I surprisingly enough do not own anything that is monogrammed...at least nothing I can think of. I certainly wouldn't mind adding that overnight bag to my closet though! A little personalization is such a fun touch. Great guide, lady! such a fun post! that monogramed ring is too cute!